THE BEST HAND & BODY LOTION EVER. EVER! 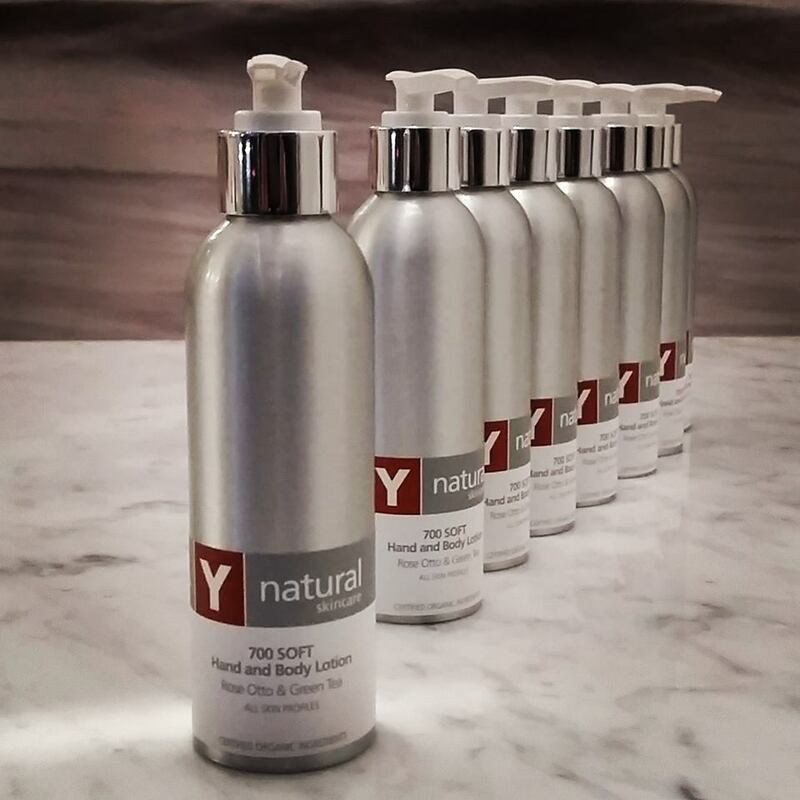 When we first started our company, we decided to create the best body moisturiser in the world. We were testing products and making our product decisions – I loved this one, but wanted to make it one bigger. For the first few days I was using great handfuls of it on my legs in particular. Second week, I used less. Third week, less again. And so on… Because as time went on, as I kept using the lotion, my skin got healthier and healthier, and needed much less lotion to look – and stay looking – fabulous. This was the exact opposite to what I was used to – in the past, as soon as I was out of the shower I reached for the moisturiser because my skin was looking scaly, feeling sandpapery and already feeling like it was ready to crack. That’s normal by the way, if you’re using products that simply coat the skin and gradually dehydrate it, instead of moisturising and nourishing it. The ingredients you DON’T want to see on your ingredients list include: cyclomethicone, dimethicone, any of the other chemicals ending in “ethicone”, mineral oil, isoparaffin or any of the variants of paraffin. Now that I use our 700 SOFT, my skin stays soft and hydrated even if I don’t use any lotion for a few days at a time. Most of the ingredients in this luscious lotion are not found in any other hand and body lotion on the market. Even decadent Bulgarian Rose Otto – which costs more per ounce than gold! – and precious Myrrh essential oil, along with powerful antioxidants, natural oils, invigorating herbal extracts and pure essential oils to hydrate, nourish, smooth and protect skin. This is special. Very special. 700 SOFT contains potent antioxidants in ingredients such as Rosehip oil, green tea extract, cocoa butter and natural Vitamin E. These help to counteract the impact of the free radicals we are exposed to in the atmosphere, from the sun, air conditioning, cigarette smoke and other general pollutants in the environment. Free radicals are very unstable, and constantly seek to stabilise themselves by stealing electrons from convenient sources such as the cells of your skin. This potentially causes damage to the cells sets us on a course of premature ageing. Instead of attaching to the electrons in your skin cells, they can attach to the free electron of antioxidants such as Vitamin E and green tea, thus protecting your skin from damage. If you find the whole free-radical-thang a bit confusing, we have a post here that helps make it much easier to understand. The first thing you will notice is the luscious aroma. The chocolatey tones arise from the Cocoa butter and Shea Nut butter, both known for their powerful emollient, softening and moisturising properties. The aroma also reveals a hint of citrus from Grapefruit Pink, which has been shown to stimulate lymphatic circulation and reduce cellulite and fluid retention – as the lotion warms on your skin, you will find the citrus aroma becomes more distinct. If you are blessed with a very refined sense of smell, you might also detect the subtle daisy scent of the Calendula extract. This has antiseptic, anti inflammatory and anti fungal properties as well as benefits such as promoting the healing of wounds, skin repair and calming and soothing sunburn. Calendula is wonderful for soothing the skin and is popular for use on babies’ skin. Natural fragrance is made from an extraordinary blend of natural extracts that is effective in preserving personal care products by inhibiting bacterial growth. It has full spectrum antimicrobial activity including gram negative and gram positive bacteria, yeasts and moulds (using challenge tests according to the European Pharmacopoeia III ed. Modified). This natural fragrance is naturally extracted (steam distilled rather than using solvents) according to IFRA recommendations so technically we’re allowed to claim this product is preservative free! All in all, this product is simply divine. The rich, lush texture, the delicate aromas that are as complex as the finest wine, the amazing skin benefits and the knowledge that you’re not using even one single petrochemical. You really could eat this product and know that your body will process it all as food, because it IS food! Delicious, decadent food for your skin packed with Certified Organic goodness. We know you will love using 700 SOFT and with regular use you will notice a genuine difference to the smoothness of your skin. 700 SOFT comes with a convenient pump dispenser so it couldn’t be easier to give your skin a silky smooth feel and healthy glow. Remember, this is not preserved with harsh chemicals so please keep the lid on, don’t put your fingers in the bottle and keep it below 30oC.